Creationism vs Evolution has always been a topic of hot debate between Christian/Jewism/Islamic scholars and modern scientists. Why? Because science claims that human beings evolved from monkeys but these religions preach that God "created" humans and sent them to the earth. Hinduism is the ONLY religion that actually combines scientific theory with religious mythology! It might come as a surprise to many people, but Hinduism actually explained Darwin's theory of Evolution much before Darwin! This is in accordance with many other scientific discoveries/inventions that Hindus made thousands of years before modern scientists. So how does Hinduism explain Darwin's theory of evolution? Let me backtrack a little, for the readers who are not familiar with mythology - God Vishnu (one of the trinity in Hinduism) is said to incarnate on Earth periodically and in various "forms". The "forms" might be some animal form or human or humanoid forms. 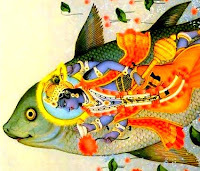 Now, many Christian/Islamic scholars scoff at the whole "God incarnating as a fish" concept but they don't realize that Hindus have discovered and documented the biological theory of evolution and these stories are just a form of easy documentation. Proto-Amphibians that primarily lived in the water, this can be seen as the first stage of life. Examples are prehistoric fishes. The very first incarnation of Vishnu was Matsya avatar and Matsya literally means Fish. It clearly parallels with the scientific view. Fish finally evolved out of water became Reptiles (with legs to be accurate). The examples are tortoise, lizards etc. Second avatar of Vishnu is Kurma. Kurma means Tortoise which is a reptile that walks on four legs. Again it's a direct parallel with the scientific view. Reptiles evolved into Mammals that could bear children and lived only on the land. 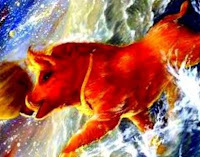 Varaha (Boar) avatar represents land dwelling Mammals. You may ask - why Boar? Why not a deer or monkey or some other mammal? The reason is that Boar belongs the the "Suina" family whose maxillary or teeth are in front and therefore they do not have to swallow and regurgitate their food just like us humans! It's extremely enlightening to note that Hinduism had such a very insightful knowhow thousands of years ago! Finally primates were evolving into Hominidae forms that looked more like humans, were partially bipedalled (walk on legs) but their brains were still not quite developed. They can be figuratively seen as having partly human lower body and animal like upper body. 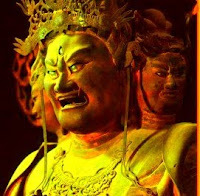 Narasimha avatar is a more abstract representation of a Hominidae that is half human and half animal. The interesting thing to note here is that Narasimha has the upper body of a lion but lower body of a man. This is important because this directly relates to the idea of a pre-human without a well developed brain but with the partial ability to become bipedal (walk on legs). Also, Lion was used because it's primarily a carnivore just like the early Hominidae. Another interesting observation is that the Narasimha avatar is characterized by being in the "middle" of two things (being neither and midway) and that directly correlates to Hominidae that is about halfway though to being human! So, Narasimha is a perfect way to explain the pre-Homo Erectus form. Finally Hominidae got closer to Homo Erectus was evolved. He was bipedal (walk on legs) more human looking but very short. Vamana avatar represents a being that is very close to humans but is extremely short. I guess, the parallel is obvious! Modern Science: Homo Erectus and then Homo Sapien was evolved that was about as tall as present day humans and could use tools. Homo Sapien is the present day human and biological evolution ends here. 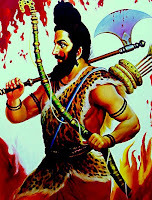 Hinduism: Parashurama avatar represents a man with an Axe. As you notice, unlike earlier Avatars, this is the first avatar of Vishnu that has no animal characteristics and wields an Axe. So basically, Parashuaram is what the current day human would be who could also use tools, in other words Homo Sapien. Again, the Avatar as described by Hinduism matches perfectly with the description of Homo Sapien! There were other "types" of humans evolving in parallel to Homo Sapiens, they are called Homo Neanderthalensis. So, another step in biosocial evolution is the extinction of Homo Neanderthalensis so that only Homo Sapiens (us) remained. These "other humans" had distinctly different bone structures and body types and it's not a far stretch of imagination to realize that these "other humans" can very well be the "demons" (asuras) mentioned in Hinduism. According to mythology, suras (gods) and asuras (demons) had been warring since the start of time and it's the Lord Rama (7th avatar of Vishnu) that finally killed all the asuras so that human beings can live in peace. Again a direct parallel. 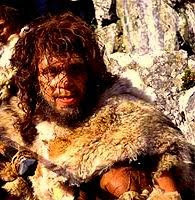 Neanderthalensis were eliminated. 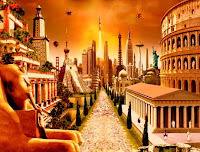 Civilizations were formed, wars were fought, kingdoms were born and finally the world is as we see it today. The chief characteristic here is the increasing complexity of life and society. Hinduism: Krishna's incarnation represents the stage where the world was in Treta Yuga and therefore far more complex than the Satya Yuga. I think a proper explanation with comparison of economy, business, society, language and other factors will require a separate post. If u write such 3rd class comment, my question what the hell you where trying to search in google..
Dear Manoj, Very impressive reserch done and it is meaningful but i would request you to go through SATYAPRAKASH from Maharishi Dayanand . I will give you much clearity and logic. Secondaly in practical there was no darwin theory as humans wereeveolved in one time only . take a short eg . In acient time if by a man get evolved from X speci in America and other eveolved at Asia (How they will meat inlife time and coopulte ) and that to in single time slot . If you go through this you will understand more and might like to share with others in much detail. My Feeling is GOD an omnipresent is like a director of Movie and has all the control when and who to get into life like stage as per the need but only differense is every on has the goal to reach him.